I am so excited to share my very first video recipe on my YouTube channel. You guys have asked for it over and over and I am so happy to oblige. 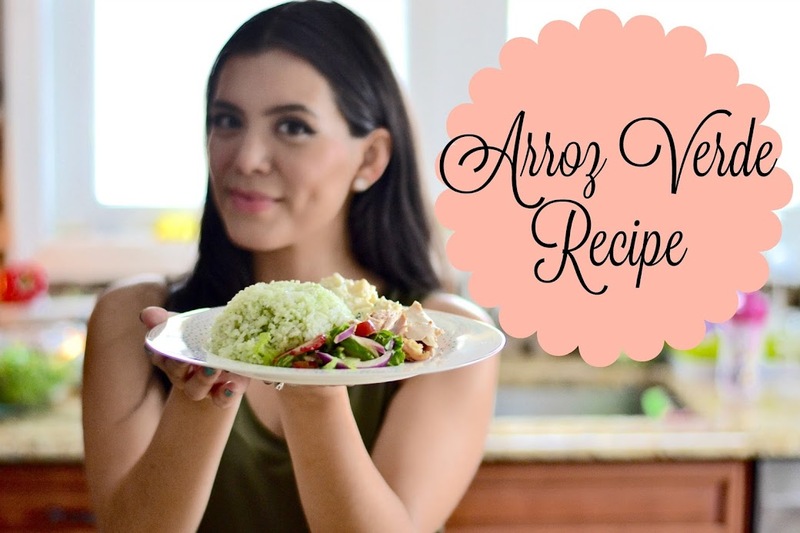 I wanted to make sure my first recipe was a simple but delicious one so I made sure to make my famous Arroz Verde for you guys. I cooked this exquisite rice on Easter and it came out so good, everyone loved it. It's such a simple way of spicing up your average everyday white rice and such a fun way to get your guests talking. I definitely recommend you try it. It's so good and different, which I love. White and yellow rice gets boring from time to time. So next time you need a dinner idea, try this one and let me know how it goes! If you guys enjoy these kind of posts and/or videos please let me know in the comments, I truly love to hear from you guys and like to share what you enjoy most on here and on my YouTube channel. Stay tuned for more very soon but please bear with me as I am trying to figure out the best way to film my cooking recipes. Thanks for the love so far on this video.